This past winter my wife and I decided to fly from Seattle to San Diego to visit a friend for a long weekend. While searching for tickets, we stumbled onto a company called “Spirit Airlines.” They were offering direct round-trip tickets for $100, which seemed like a steal for a spontaneous vacation. Before we clicked “purchase” we started reading the reviews of Spirit. Let’s just say; they weren’t kind. 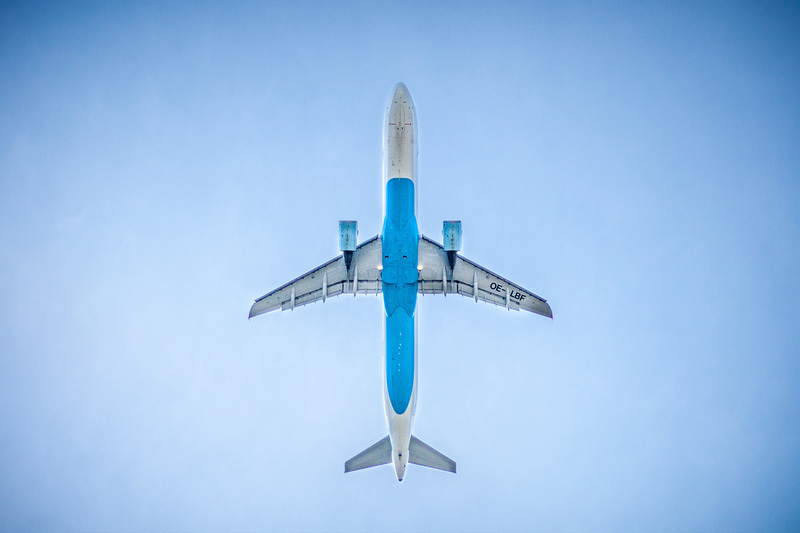 We had heard the reputation of the airline before that customer service was mostly non-existent, flights were regularly canceled, and the actual plane was just the bare minimum of what a plane should be. Well, we did find out how bad it could be. After sitting 2 1/2 hours on a plastic shell they call a seat, dealing with unprofessional flight crews, and feeling squished like sardines, we finally made it to San Diego. Our luggage, unfortunately, had not made the trip with us. That was fine; luggage does get lost from time to time. After talking with the customer service rep, we were notified that our luggage (with all of our clothes) would be on the second flight to Seattle arriving midnight that night. So when life gives you lemons, you make lemonade, right? Sara and I had a fun time just driving around the city exploring, wasting time (we couldn’t go to our hotel because it was 3 hours away from the airport) and honestly, we had an excellent time.When midnight arrived, we found on our way back to pick up our luggage. The thing is though, our luggage wasn’t there. So again, we made our way to the customer service office. I handed over our tracking stub for our missing luggage and the clerk informed us that those numbers don’t actually work because they don’t have a system that tracks the bag. After 45 minutes waiting in the office, we determined that our luggage had succumbed to the abyss and they would contact me as soon as they found it. Feeling defeated, Sara and I drove the three hours to our destination in hopes to salvage the weekend. Since all of our belongings were in our luggage, we had to venture to Target and buy whole new outfits and toiletries. Two days later, there was still no contact from Spirit, but that didn’t keep our spirits from being full from seeing friends and relaxation (see what I did there? ba ba badum). It was time for us to head back to catch our returning flight when my phone rang. We received our luggage just in time to put it back on the airplane and head back home…which didn’t happen for another three more hours because the flight was delayed due to the flight crew being stuck on a Delta flight. I’ll let that last sentence sink in for a second. So what is the lesson I learned from this whole fiasco? Reviews are real, and the reputation of your company will precede itself. What Does Scripture Say About Reputation? 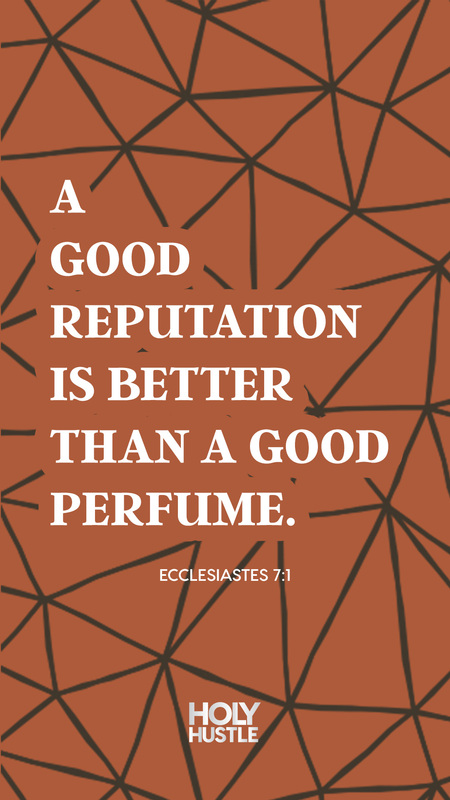 “A good reputation is better than a good perfume." Our reputation is the heart and core of our character as Christians. Just like anything in life, a good reputation takes diligence and time. Some Christians say that it doesn’t matter what others think of us and that we should only worry about trying to please God. While I understand their sentiment and agree to a degree, I think that can be an easy cop-out to being a jerk. Is this really what we as Christians need to be known for? The Bible calls us Christ’s ambassadors in this world and with that comes the responsibility to represent Christ to all who we come in contact with. 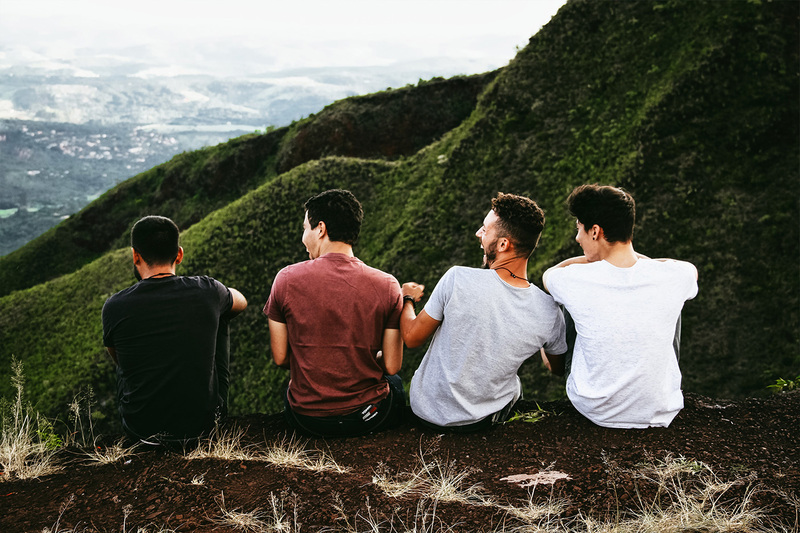 No, we shouldn’t live our lives to gain the acceptance of other people, but we too need to live a life that gives off that sweet perfume aroma so that people see Christ in us. So how can we build a good reputation in our business? Here are three easy tips. 1. Always go a little bit beyond what’s expected or requested. When someone asks for a reference, give them three. If you promised to have the project finished by a certain date, complete it a day earlier. Have to follow up on a phone call in the next 48 hours? Call in 24. Small gestures like this go a long way. Consistency is king when it comes to your reputation. In fact, I talk about it in this devotion. Your character is everything. Make sure you make your motives clear and have a heart of integrity. Here’s a good rule of thumb, don’t create something if you wouldn’t buy it. If you can’t uphold your end of the bargain, make it abundantly clear to everyone involved. People respect the truth. What is your reputation at the office? What characteristics does a company with a bad reputation have? May the sweet aroma of Christ surround you in your life. May your reputation precede you and may it reflect Christ in every decision you make. May we as the body of Christ represent Christ well to our community.